Being able to open XNALara means that I can open some models, export them into wavefront .obj and import them into Blender to convert them for Oblivion. Since I was exited I decided to try right away. I just wanted something simple so I decided to try with the Mad Hatter hat from Alice: Madness Returns. 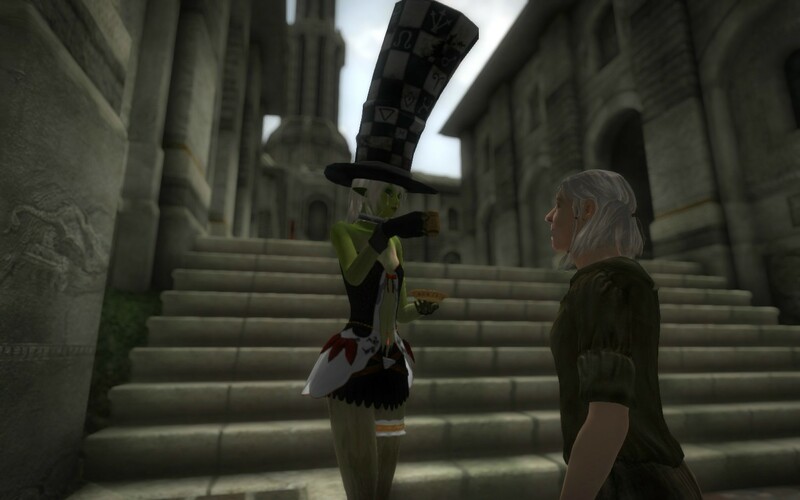 I really love this hat and I though it would be funny in oblivion. Of course it look a bit ridiculous but there's worst out there. If you go take a look on SHY Uploader or loda.jp, you will find this hat almost lore friendly. I've put the hat in a tiny bag on a small table in the Testing hall. To get there you will need to open the console with ` and type coc testinghall. There's four hats in the bag. Two for tail and 2 for amulet.